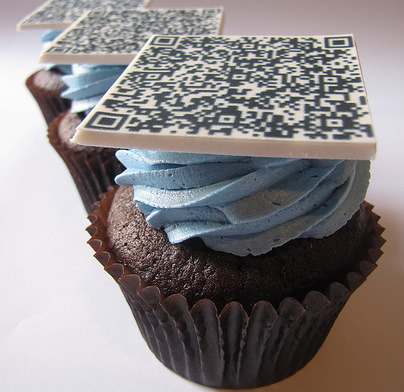 In case you have not noticed, we at CustomXM have been pushing QR codes for about a year now. We really like them, more than cupcakes even. Mostly we think they have the potential to change the face of marketing and advertising. We have been very impressed with how far QR codes have come in the last year, this time in 09 it was a novelty, now it is beginning to get serious attention. As a marketer and advertiser I feel like there are few directions that QR codes need to go from here to be successful. Mobile Websites – The largest problem I have seen so far with the use of QR codes in marketing and advertising is that more times than not the code takes you to a non-mobile optimized website. For example NYC released an awesome QR code campaign a couple of weeks ago. The problem with this however is that when you scanned the code it took you to the NYC website which is designed for computer viewing. QR codes are scanned using smart phones, they are going to be viewed on these smart phones, why then would you take someone to a website that is not optimized for mobile viewing? Give people larger text, bigger links, and html 5 interactive elements. Creative Placement – More often than not a QR code is just shoved in as an afterthought. Designers need to make the code part of the creative rather than a separate item. By making the QR code more appealing it begins to bring the focal point of the ad to the QR code, increasing the possibility for action. Higher Usage – As is always the case with emerging technology, the question of adoption comes up. Do you go ahead and start including it and hope the users pick it up, or do you wait for adoption rates to increase before you begin using it? I say go ahead and be in front of adoption rates in an attempt to drive adoption in your industry. Greg Henderson is a marketing and social media professional with 8 years marketing and online experience. Greg has worked with several companies focusing on integrating online and offline marketing. – Two people are in a car/limo. Envelopes, business cards are everywhere and they’re both sketching furiously on envelopes – they’re trying to meet a deadline. The driver, Paul Strack in a tuxedo, glares at them from the rear-view mirror. He tells the two people about how CustomXM can do that for them: full color envelopes, letterheads, business cards, etc. The two people pull out their phones and do a bit of clicking around and BAM – they’re done! They’ve sent their stuff off to CustomXM. One of them proudly states, “You go, CustomXM!” and high fives the person sitting beside him/her. Both of their phones vibrate..they’ve both got a text message!